Pure elegance with the Pacha Lounge Chair. Photo by Lelièvre Paris, photographer Morgane Le Gall. Da Vinci Lifestyle’s Contracts Division Leverages On Stellar Relationships With Over 200 Italian Furniture Brands To Fashion Furniture Brands Around The Globe. With An Extensive Range Of Products From Furniture, Lighting, Kitchens, Office Systems, Bath & Sanitary, To Flooring, Decoratives & Materials. Our Contracts Team Offers Creative And Bespoke Solutions To Briefs To Manage The Process From Conceptualization To Completion. Our Logistics Networks Worldwide Ensures Deliveries And Installations Are Kept Within Timeline Requirements That Are Crucial For Architects, Interior Designers And Property Owners For Residential, Commercial And Hospitality Projects. With its sleek silhouette and dynamic angular lines the CDC.2 Sofa marries streamlined functionalism with playful whimsy and is well suited to conversation and relaxation in the modern residential environment. 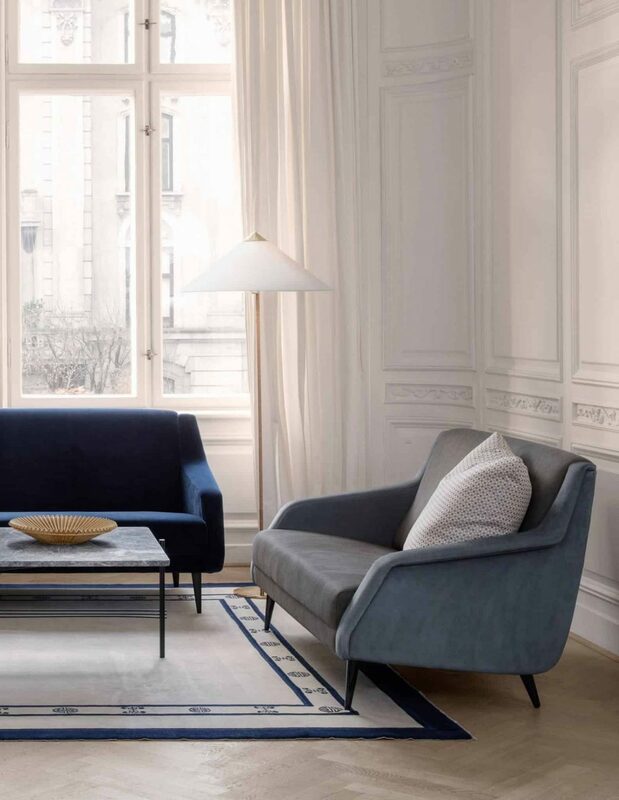 The sculptural Stay Sofa and Lounge Chair featured at 11 Howard – the hotel which Space Copenhagen won the well-deserved Global AHEAD Award 2019 for the best hotel renovation & restoration earlier this year. The GUBI Dining Table with marble top is in great company with the earthy tones Beetle Chairs. The iconic Gräshoppa Floor Lamp was first produced in 1947 by Greta M. Grossman. The unique tripod stand of the floor is tilted backward and the impression that the lamp is somehow alive and stalking its prey.